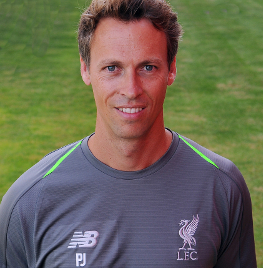 Philipp Jacobsen was appointed Liverpool's new medical rehabilitation and performance manager ahead of the 2018-19 season. The German heads up the Melwood-based medical team alongside Dr Andrew Massey. He joined the club from the Qatar-based orthopaedic and sports medicine hospital, Aspetar. Jacobsen worked as Aspetar's senior physio from 2007 to 2015 before moving on to work with the Qatar national team until 2017. He then took on a lead role and headed up a specialist team assigned to the care of elite foreign athletes visiting Aspetar – mostly from football and athletics. He previously worked in football with Greek giants Panathinaikos, serving as the club's head physio between 2001 and 2004, and joined Portsmouth in 2005.